I’m pretty sure my eyes went wide as saucers when Haris brought up Pranayama Putt-Putt in my first Kidding Around Yoga training. I grew up loving miniature golf. My grandparents have had a camper at Alleghany Mountain Resort at Rainbow Lake since my mother and her brothers and sister were young enough to enjoy the fresh air and open spaces. Much of summer’s free time was spent with aunts, uncles, grandparents, and cousins “at the Lake.” We did a lot of biking, canoeing, kayaking, and various other land sports; but when things were slow we would play round after round after round of miniature golf. My sister, cousin, and I even had a little tournament a few years running. As a “sport” it seems pretty mundane and overly simplistic: holes measure a few feet rather than hundreds of yards, there’s no water or sand, and rails help keep your ball always in bounds. But there is a great deal of accuracy, precision, timing, and careful observation required if you want to do it well. I am one to strive to do everything better than I have before! 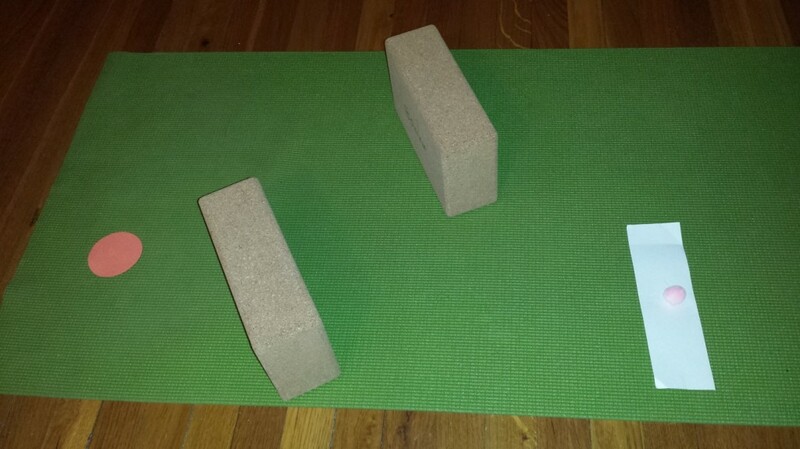 I’ve taught Pranayama Putt-Putt in a variety of classes, but the first chance I got—an eight-week kids’ yoga series at a local studio—I jumped at the chance to go all out! 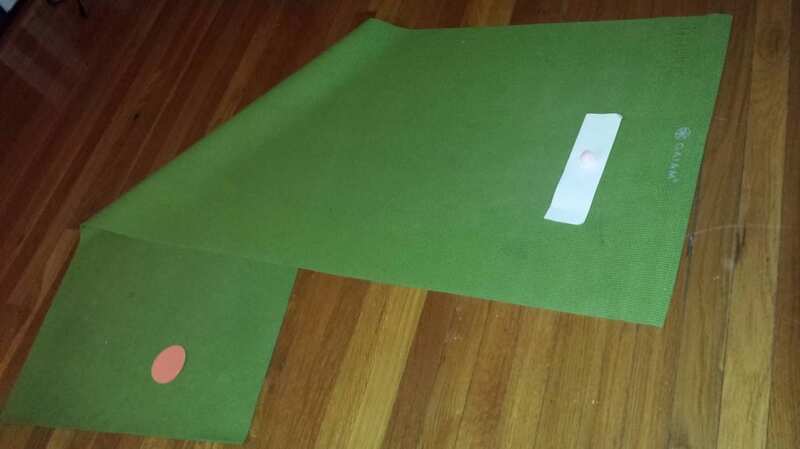 I spent the night before cutting and pasting cardboard and construction paper into starting tees and pin flags. I drew up designs for the nine holes—plus a few extra—and I showed up an hour and a half early to set up and test before my students showed up. I posted pictures of my course on the Kidding Around Yoga Teachers’ Forum, but here I’m going to tell you how I did it and how you can too! At the studio, Still Point Yoga Center, I have access to two rooms: the main room for asana and a smaller back room usually used for the meditation classes. 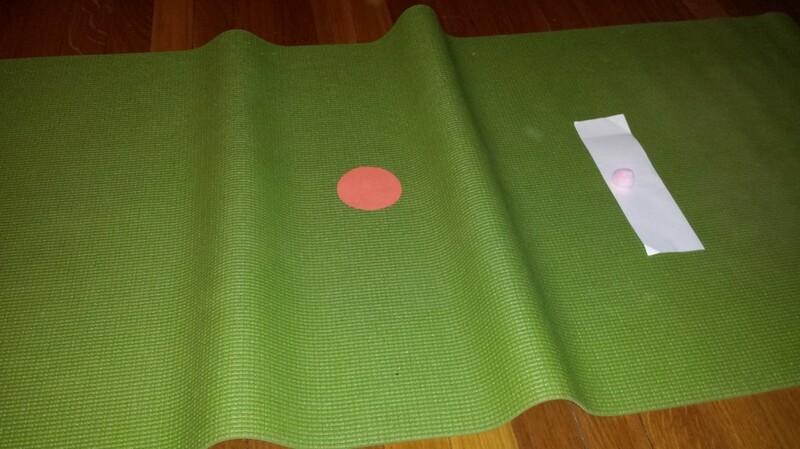 I set up the main room, left the door closed, and led the kids to the back room so we could open with our OM-in, meditation, Sun Salutations (each child led a round), and a few poses to make sure the kids would know them for later. Then we “blew our horns” down the hall back to the main room. I know that when Haris told us about Pranayama Putt-Putt my eyes popped out of my head because that’s what happened to these kids when I opened the door! 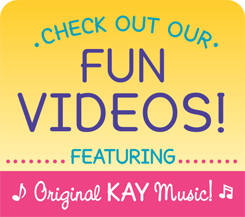 And I want to share my story with you so you can share this fun with all the kids in your classes (#spreadlove). Something to mark the start (the tee, pictured as white construction paper) and the finish (the pin or hole, pictured as an orange circle) which you’ll want to tape down if you’re using paper. The pom-pom must roll across the pin. I could go on and on in the text, but I’d rather just show you a few examples to hopefully help get those creative juices flowing and a vision of your own course in your head. Pretty straightforward: a block (or two, or three, or four) obstructs an otherwise straightforward shot. Note: With two or more humps, you’ll likely want to make subsequent humps smaller than the preceding ones so that the pom-poms roll down the first and over the one that follows. Otherwise, the kids will be clamoring over the humps, breaking them down, to get the pom-poms out. This one will drive the kids crazy! It can be hard to find the balance between blowing hard enough and too hard. 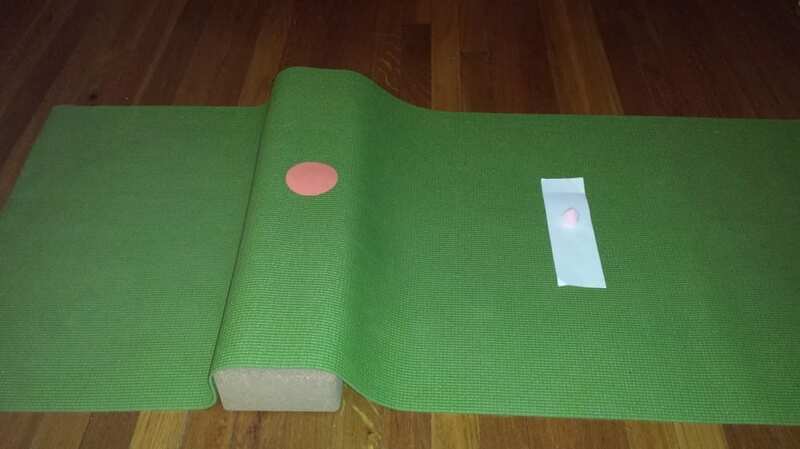 I simply place two blocks under the mat and the pin on top. Be sure to give enough space between the tee and the pin so that the pom-pom can stray a little from the straight shot. 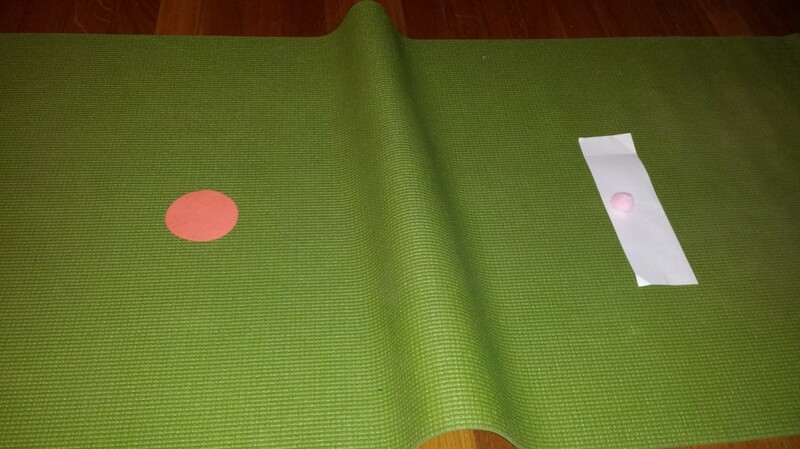 Fold the mat under leaving the bulge at the outside of the turn big enough that it will divert the pom-pom toward the pin. 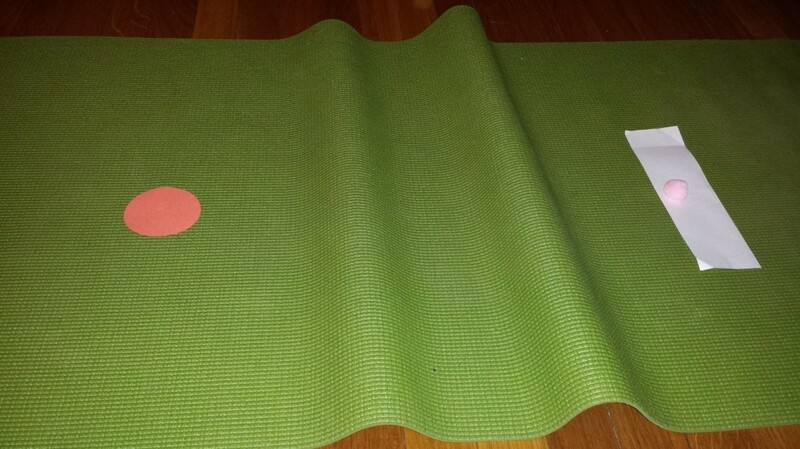 Simply put: small bulges along the mat alternating between sides. 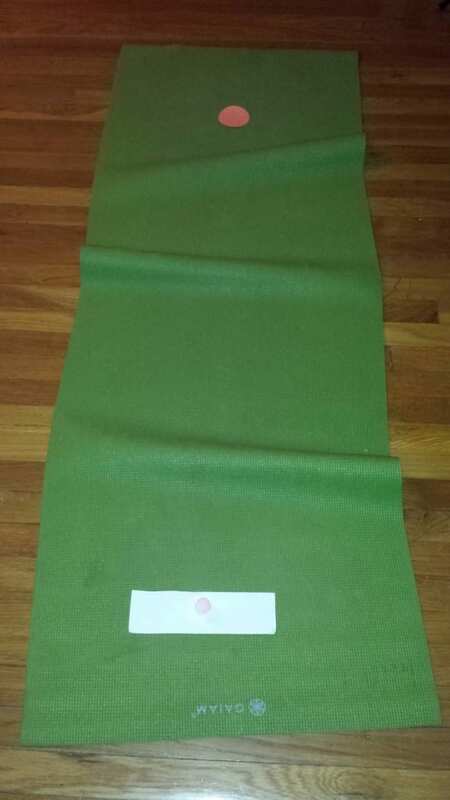 Technically, you are shortening the sides of the mat, distorting it from being straight to a slight zig-zag. Now it’s your turn! Play around with what you see here! And share what you come up with! 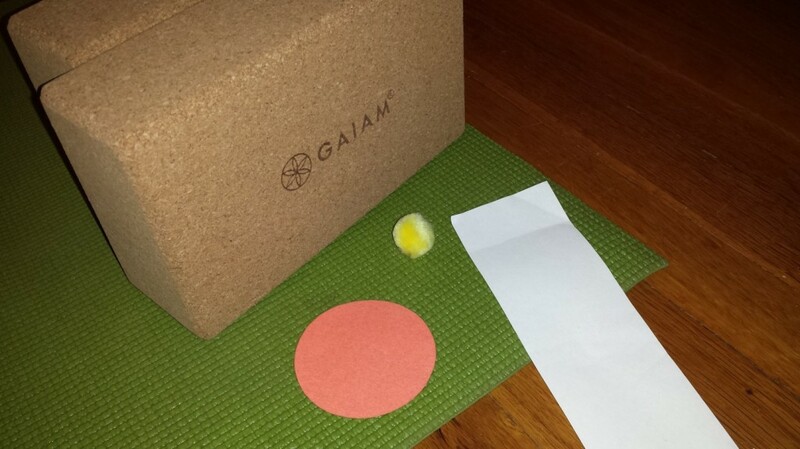 Wanna learn MORE awesome games and activities to share with the children in your life, classroom, or yoga classes? Check out our Online Teacher Training or our schedule of upcoming Live Trainings! Keep following our blog for more inspiration.